In addition to our course programme we also offer one to one tuition. This type of learning experience is ideal if you want more dedicated tutor time or are unable to attend a course you are interested in on the date advertised. One to one tuition is offered during open access times. 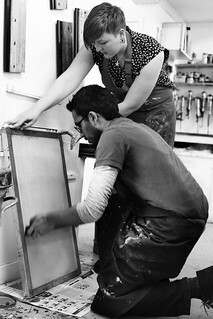 Choose from etching, linocut, monoprinting or drypoint. 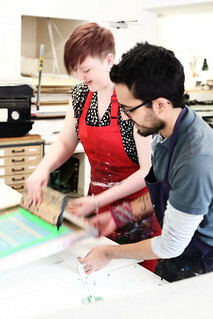 Choose from silkscreen onto paper or textiles, solar plate or letterpress. For more information, to discuss options and to talk about booking please contact our Studio Manager, Nichola Hingley, or call 0116 251 4174.